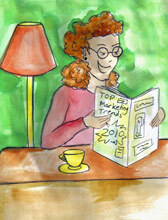 I recently read an article that highlighted the 10 most powerful online marketing strategies of 2009. SEO, social media marketing and keyword research topped this "best of" list. Fabulous! At OSI Rock Stars, we had not only taught about all of those areas this past year, but had also done an in-depth series of classes on each of them. I continued reading the list… video marketing—check; online public relations—check; link building—check; blogging—check; paid search marketing—check; e-mail marketing—check! We had covered everything on this all-important list, and then some. Interestingly enough, the study concluded that these same 10 strategies would play key roles in online marketing for 2010 as well. Do you have the following on your Road Map to Success for the coming year? eBay Stores are still the most powerful way on eBay to connect your keywords and content to Google and other top search engines. Make sure you are taking full advantage of the Custom Pages in your eBay Stores for full optimization. Creating a customer experience is vital for converting lookers into buyers. People online are not looking to be "pitched" to, but instead are seeking engagement and interactions with the companies they are choosing to spend their money with. Creating those vital relationships using social-networking sites like Facebook are crucial to expanding your sales opportunities. Keep in mind, there is a right way and a profitable way to utilize social networking. Our recent series about Facebook will help guide you in the right direction. "House" or "home"? Did you know potential buyers search for one of these keywords 250 million times more than the other word each month? This is how important it is to find and use the language your buyers are using. Have you created your Profitable Keywords sheet yet? Google is now ranking videos quite well and you have visual buyers—what a match! Now that eBay allows us to use video in our listings, there's no reason not to invest the time to learn more about using that Flip Video camera you got for Christmas. One of the best training videos I have seen on incorporating video into your business comes from Ghost Leg Media. Who else can you get to talk about you in 2010? PR isn't just about press releases; it's about getting people to talk about you, your products and your business. One of my favorite word-of-mouth (WOM) marketers is Andy Sernovitz. Add his blog to your daily must-read list. Oh, and make sure you ask him about "bacon salt." By the way, if you do a search for "Janelle" on his blog, you'll be able to read about one of my favorite WOM marketing ploys we pulled off (and almost got arrested for at the same time)! Yep, it's high school all over again. Basically, the power of link building comes from having the cool kids on the Internet mention you. By "cool kids," I mean someone who's in the same or similar field as you, and ranks better than you in the search engines. Remember how this works? If the cool kids say you're cool, then you are automatically "in." Well, Google sees things the same way. If you have a site about gardening and the Master Gardeners site mentions you with a link into your site, Google sees that as a good thing and could potentially increase your placement in the search engine. Do realize that if Google sees a "not cool" site linking to you, it may not help you. In fact, depending upon how bad the site is, it could hurt you on your rankings. This is the same as sitting next to the kid in school who was always causing problems. Invariably, you would be blamed for something too, just based upon proximity. Yep, Google sees it the same way. This is a very simple way of thinking about link building, but I figured everyone would get the high school reference. Focused, SEO-optimized, WordPress—enough said about a powerful marketing tool you should already be using. If you have a Web site, ask yourself who it was made for. Was it created for you? Is it showing off your designer's bag of tricks? Or has it been designed for the valuable people with money: the customers? Does the copy and content above the fold of your Web site create the call to action that is in your business plan? Or does it confuse your customers with too many options? It's time to quit being a worker bee, and waiting for eBay to promote your business. You can take back control by utilizing pay-per-click advertising, or PPC, on Google, Bing and of course Facebook. This is a powerful tool to locate your niche-buying customers. Newsletters are worth gold if used correctly in your business marketing mix. The two most important areas of a newsletter to pay attention to are the "from" and "subject" fields. Up to 75 percent of your readers are going to make a decision to open or not open your newsletter based upon the content of these two areas. Your newsletter then needs to have valuable content within the body. "Valuable content" to your readers means something for which they're willing to allow you to interrupt their busy lives—something that adds enough value to their lives to stop what they are doing and read your newsletter. This marketing tool is so powerful that, for a second year in a row, we are teaching an in-depth class on Profitable Newsletters at OSI Rock Stars. How do your 2010 marketing goals stack up? What other areas do you plan to focus on in the coming year? Use social networking sites to help drive more people to your listings. 18 percent of product searches begin on social sites, report says. A $400/hour consultant shares her secrets for creating great blogs. A few adjustments can help you make the most of the seasonal slowdown.